What Types of Information Does Isha USA Collect about visitors? IP Address - Your “IP Address” is a number that is automatically assigned to the computer that you are using by your Internet Service Provider (ISP). An IP Address may be identified and logged automatically in our server log files or third party tools that we use whenever you access the Sites, along with the time of the visit and the page(s) that you visited. Collecting IP Addresses is standard practice and is done automatically by many websites, applications and other services. Isha USA uses IP Addresses to calculate usage levels of the Sites, help diagnose problems with its servers, administer the Sites, and monitoring the regions from which you navigate to the Foundation’s websites. How Does Isha USA Collect Information? Through the Websites: We may collect Personal Information through the websites, e.g., when you register for a webinar, contact us, subscribe to our email newsletter, download content (e.g. 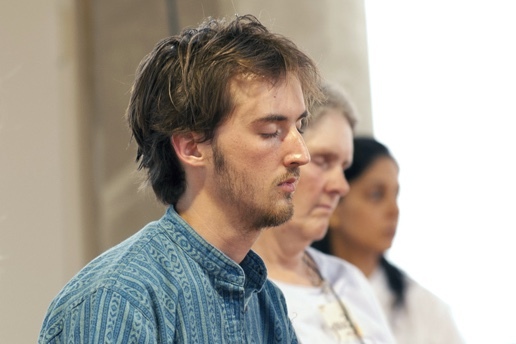 meditation, music), or register for an Isha program. Offline: We may collect Personal Information from you offline, such as when you attend one of our events, during phone calls with customer support, or when you contact chat support or city center. Through third party tools: Isha USA uses hosting services, web analytics, marketing automation platforms that may collect information about website visitors. What information does Isha USA share and disclose? If you would like to access, correct, amend, remove or limit the use or disclosure of any Personal Information about you that has been collected and stored by Isha USA, please notify us at contact address listed in this policy so that we may consider and respond to your request in accordance with applicable law. You may opt-out of receiving marketing messages from Isha USA by sending an email to the address listed in this policy. We will try to comply with your request(s) as soon as reasonably practicable. Please note that if you opt-out of receiving marketing-related emails from us, we may still send you important administrative messages. We take standard allowable business mechanisms to protect information about you that is in our possession and control, such as your Personal Information from loss, misuse, and unauthorized access, disclosure, alteration, or destruction. Unfortunately, no Internet transmission is ever completely secure or error-free. In particular, email sent between you and us may not be secure, due, for instance, to the security practices that you, your email carrier, and/or Internet provider employ. You should therefore take special care in deciding what information you send to us via email. Please keep this in mind when disclosing any personal data to us via the Internet. To bring you our services, we operate globally. Where the laws of your country allow you to do so, you authorize us to transfer, store, and use your data in the United States, Canada and any other country where we operate. In some of the countries to which we transfer personal data, the privacy and data protection laws and rules regarding when government authorities may access data may vary from those of your country.